Guillaume is responsible for the overall management, operations and performance of Armor Capital. He brings 20 years of experience in entrepreneurship and corporate finance in the United States, Europe and Asia. Prior to founding Armor Capital, Guillaume led the North American & Asian divisions of Natixis Pramex International and was part of their management committee. While there, he grew the firm to a team of 25 consultants and advised over 300 companies in their international expansion. In 1998, he founded a hi-tech startup based in New York that sold products to Fortune 500 companies as UTC United Technologies and IBM. In 2000, he took the position of on-premise Sales Manager of Big Geyser, Inc. – a successful venture which became the first independent non-alcoholic beverage distributor in New York metropolitan area. Guillaume holds an Executive MBA from Columbia Business School, the London Business School and Hong Kong University, graduating with a focus on Entrepreneurship. He is fluent in English and French. 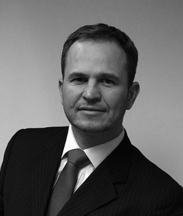 Based in Paris, Jacques joined Armor Capital in 2012 and is managing the European activities. 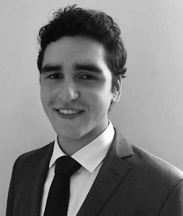 A software and electrical engineer by background, Jacques has mostly worked in the high-tech and semiconductor industries – STMicroelectronics, Numonyx and Micron, in various senior Technical then Marketing and Business Development positions. Before moving back to Paris, Jacques had been living in Japan, Korea and Taiwan for over 12 years while working for STMicro and Numonyx. 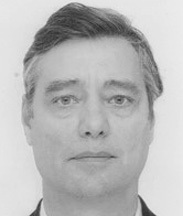 Jacques holds an Executive MBA from Columbia Business School, the London Business School and Hong Kong University. He is also a graduate from INSEAD, HEC Paris and UPMC (Université Pierre et Marie Curie). Jacques is actively involved with his alma mater, INSEAD, serving as Vice-President of the Alumni Business Angels Club France. He is fluent in English and French. Long is based in Paris and brings along with him more than 15 years of experience in Private Equity and Strategy Consulting. Since 2014, he works for Amor Capital on valuation cases. Concurrent with his consulting activity for our company, Long manages, as Investment Director, France Brevets, the first sovereign fund in Europe focused on patents, and is a member of the Steering Committee. Long has extensive experience in private equity. After joining the first institutional private equity fund created in Vietnam, he moved to Singapore, at Prudential, to work on investment, post-investment monitoring, as well as fund management activities. Recently, he managed the French equity fund Octant Partenaires. Between 2000 and 2008, he was also a Senior Strategy Consulting Manager at A.T. Kearney, in Paris, working on European projects including commercial due diligences and client performance improvement in a wide area of industries. Based in Hong Kong, Sina joined Armor Capital in 2017. 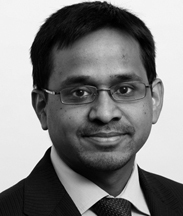 He is responsible for originating and executing cross-border M&A transactions. 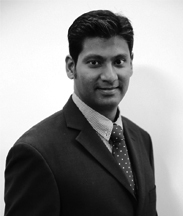 Prior to Armor Capital, Sina gained over 5 years of experience in Corporate Finance. Between 2011 and 2015, he worked for Rabobank’s Leveraged Finance department and rotated across Rabobank offices in the UK, Australia and The Netherlands. As a Senior Associate, he was responsible for arranging LBO financing for global tier 1 Private Equity firms’ investments. Sina holds an MBA from the Hong Kong University of Science & Technology and an MSc & BSc in Financial Economics from the Erasmus University Rotterdam. He is fluent in English and Dutch, and conversational in Mandarin and Farsi. Based in Astana, Jean has accumulated 25 years working experience in Kazakhstan. 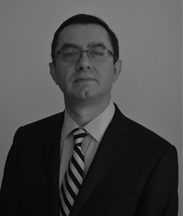 Prior to joining Armor Capital, he was the former General Manager of Thales Kazakhstan Engineering. Specialized in General Management in Central Asia, he is in charge of providing Business Development & Strategy services. Jean holds a BA in Marketing from the Institut de Preparation à la Gestion and a Master of Management & Economy from Pantheon-Sorbonne University. He is fluent in French, English and Russian. Based in Shanghai, Clement has advised many Chinese investors in seeking targets in EU countries and Chinese companies in attracting strategic partners or investors from abroad. 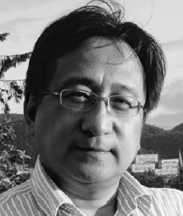 He is the former Chief Representative and President of China at INFIMA a Norwegian M&A advisory firm. He has also held various senior management positions in several world-famous companies in China, such as Cameron (US O&G drilling package supplier), TTS (Norwegian O&G), Lloyd’s Register (TIC), etc. 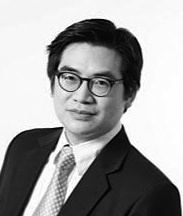 Clement brings along with him a rich experience in developing and establishing new ventures in either new markets or new areas and providing his expertise throughout the whole M&A process and the post-integration phase. Clement is a Doctor of Business Administration candidate at the University of Manchester. He holds an MBA and Bsc. in Naval Architecture and Ocean Engineering. He is fluent in both Mandarin and English. 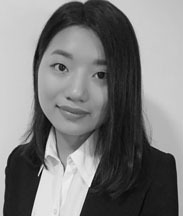 Based in Hong Kong, Ziyue joined Armor Capital in 2018 as an analyst. Within Armor Capital, she is in charge of financial modeling and deal execution. 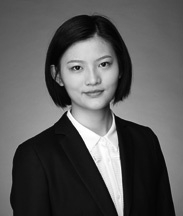 Prior to Armor Capital, she gained significant experience at KPMG advisory and Ping An Bank. She holds a Bachelor of Economics and Finance from the University of Hong Kong and a MSc majoring in International Finance from HEC Paris. She is fluent in English and Mandarin and conversational in Cantonese and French. 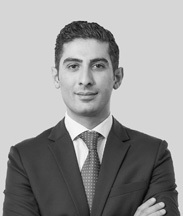 Based in Hong Kong, Soukaina joined Armor Capital in 2018 as an analyst. Within Armor Capital, she is in charge of valuation and deal execution. Her previous experiences within the Corporate Finance Department of La Banque Populaire du Maroc and the Paris-based boutique Aurige Finance allowed her to work on diverse M&A, Debt and Equity Capital Markets deals. This background provided her with a significant knowledge of a wide range of sectors and an exposure to transactions involving European, West African and Middle Eastern companies. 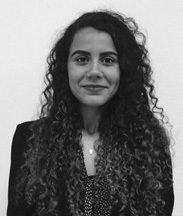 Soukaïna holds a master degree in Banking & Corporate Finance from Toulouse Business School. She is fluent in English, French and Arabic. Simon has joined the team in January 2016 as an analyst. With diverse professional experiences in Private Equity at Ardian, Transaction Services at KPMG, Strategy at Airbus and entrepreneurship, Simon has worked on various M&A, Venture Capital and Private Equity deals. Among them, he has participated to the 327 million dollars fundraising of OVH, deal structuration and fundraising for “The World of Tim Burton” exhibition tour, buy sides for a major energy company and investment funds, sell sides for PSA Peugeot Citroen, and other deals in Infrastructure, Utilities, Aerospace, Food & Beverage, Hosting, Internet of Things, Medtech and Retail sectors. Passionate about entrepreneurship and investment, Simon is mainly involved in business analysis, financial modeling, normalization, valuation, origination and deal execution. Simon is a graduate from TBS and HEC Paris, and holds certificates in Financial Accounting from Harvard and Infrastructure Financing from Bocconi University. He is fluent in English and French and conversational in German. Based in Shenzhen, Yang joined the team in 2017 as an analyst. Within Armor Capital, Yang is specialized in business analysis, financial modeling and deal execution. Prior to Armor Capital, she gained significant experience as a Strategy Consultant at Roland Berger. She holds a BA in Finance from the Nanjing University and a Master in Management with a major in Finance from HEC Paris. She is fluent in English and Mandarin and conversational in French. Finance from Cass Business School, and a Venture Capital Development program from the Indian School of Business. He has co-authored a published case study on the growth and evolution of a successful private equity firm in Emerging Market. He is fluent in English, Hindi and Telugu. Eric joined Armor Capital in 2013 as Senior Consultant. 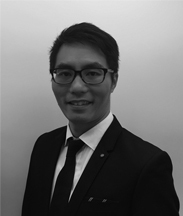 Based in Hong Kong, he has extensive knowledge of local banks’ practices and commercial products for SMEs. Eric has successfully raised debt facilities for over 15 clients such as commercial and installment loans, import/export trade and equipment financing, as well as mortgage loans. Eric holds a Master in Finance from the Chinese University of Hong Kong and a Bachelor of Applied Science from the University of Toronto in Canada. He is fluent in English, Cantonese and Mandarin. Avinash joined Armor Capital as IT Manager. He brings 20 years of hands-on experience in all aspects of Information Technology. His career began in the IT industry, in 1994, as a programmer. He moved to Hong Kong in 1995 to provide SMEs in Asia with implementation support for Accounting and Trading software. In 2000, Avinash worked in the dot com industry, dealing with online payment gateways, then moving onto a Chief Technology Officer role for a large multinational garment manufacturer for 10 years. Afterward, he founded his own company, Acube Limited, to provide a wide array of IT services, from managed IT solutions, to web, software development and ERP/CRM implementations. In 2014, Avinash acted as the IT Director of the Meridien Groups, a US-based global sourcing group. Diploma in Hardware Engineering. Avinash is also a Microsoft Certified Professional and attended various Microsoft and IBM/Lotus Domino Enterprise courses. He speaks English and Hindi.